DON'T LET THE CUTE NAME FOOL YOU - THIS IS A SERIOUS SATIVA! Dr Krippling didn't miss a trick with Buzz Light Gear! The name is catchy, but that's not why you'll love this rocket ride. Dr Krippling's Buzz Light Gear Feminised Cannabis Seeds is a pure Sativa with a whopping 20 to 23% THC level, fat buds entirely coated in crystals and a tantalizing fragrance that mixes Haze, Mist & orange. Any Cannabis Lover will love these 100% feminised seeds! 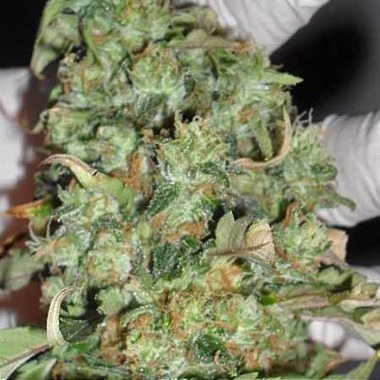 Dr Krippling's Buzz Light Gear Feminised Cannabis Seeds has insane power levels, an energetic high and a flavour profile that can only be described as scrumptious, but the extravagant yields are what shocked Discount Cannabis Seeds the most about this fabulous Sativa. Get a load of this - this 100% feminised seed has the capability of going all the way to 800 gr/m2 inside or an even more astonishing 1400 gr/seed outside. Do not get it twisted and underestimate it though. This is still a Dr Krippling Strain, Buzz Light Gear Feminised Cannabis Seeds is capable of causing temporary periods of immobility and singing you a sweet a lullaby drifting you to sleep more successfully than one's mother ever could. Dr Krippling's Buzz Light Gear Feminised Cannabis Seeds are a pure Sativa strain, so they will take their time to achieve those numbers, but if you have the time to wait, they'll reward you handsomely. BUY YOUR BUZZ LIGHT GEAR SEEDS TODAY HERE AT DISCOUNT CANNABIS SEEDS!